South Korea is known for having the fastest broadband Internet connections in the world. Editor's Note: Which 17 countries have faster Internet connections than the United States? See our Internet speed map. (CNN) -- People in the United States basically invented the Internet. So U.S. connections must be the fastest and cheapest in the world, right? Broadband Internet speeds in the United States are only about one-fourth as fast as those in South Korea, the world leader, according to the Internet monitoring firm Akamai. And, as if to add insult to injury, U.S. Internet connections are more expensive than those in South Korea, too. The slower connection here in the U.S. costs about $45.50 per month on average, according to the Organization for Economic Cooperation and Development. In South Korea, the much-faster hookup costs $17 per month less. An average broadband bill there runs about $28.50. So why is U.S. Internet so much slower and pricier than broadband connections in South Korea? The question is timely, as the U.S. government pushes forward with a "broadband plan" that aims to speed up connections, reduce costs and increase access to the Internet, especially in rural areas. Map: U.S. Internet is slower than Slovakia's? The comparison between South Korea and the United States is not perfectly instructive, especially since "we probably won't ever be South Korea," said Robert Faris, research director at Harvard University's Berkman Center for Internet & Society. "The whole political and social climate is so different, the geography is different, the history is so different," he said. "It's all pretty different." Countries with fast, cheap Internet connections tend to have more competition. In the U.S., competition among companies that provide broadband connections is relatively slim. Most people choose between a cable company and a telephone company when they sign up for Internet service. In other countries, including South Korea, the choices are more varied. While there isn't good data on how many broadband carriers the average consumer has access to, "I think we can infer that South Korea has more [competition in broadband] than the United States," Faris said. "In fact, most countries have more than the United States." Some academics, including Yochai Benkler, co-director of the Berkman Center, have criticized the U.S. government's broadband plan as not doing enough to create the kind of competition that is present in other countries. In a New York Times editorial, Benkler says competition will reduce costs for broadband consumers. "Without a major policy shift to increase competition, broadband service in the United States will continue to lag far behind the rest of the developed world," he writes. There are stark cultural differences between hyper-connected Korea, where more than 94 percent of people have high-speed connections, according to the OECD, and the United States, where only about 65 percent of people are plugged into broadband, according to an FCC survey. The South Korean government has encouraged its citizens to get computers and to hook up to high-speed Internet connections by subsidizing the price of connections for low-income and traditionally unconnected people. One program, for example, hooked up housewives with broadband and taught them how to make use of the Web in their everyday lives. Parents in Korea, who tend to place high value on education, see such connections as necessities for their children's educations, said Rob Atkinson, president of the Information Technology & Innovation Foundation. These cultural differences mean Korea has a more insatiable demand for fast Internet connections, he said. That demand, in turn, encourages telecommunications companies to provide those connections. Faris, of the Berkman Center, said no one society has a stronger appetite for Internet connectivity than another. Korea's government simply has whetted that appetite, and provided the incentives to make high-speed connections accessible to a large segment of society. Political culture has more to do with it, he said. "The United States is a more litigious culture than others, and the power of the FCC [Federal Communications Commission] to regulate is not as strong here as it is in other countries," which means its less likely that the U.S. will pass policies to promote the growth of ultra-fast broadband. There is vigorous debate in the telecommunications world about the role "open networks" have in creating fast, cheap Internet connections. The idea behind an "open" system is essentially that, for a fee, broadband providers must share the cables that carry Internet signals into people's homes. Companies that build those lines typically oppose this sharing. A number of governments, including South Korea and Japan and several European countries, have experimented with or embraced infrastructure-sharing as a way to get new companies to compete in the broadband market. The U.S. does not require broadband providers to share their lines, and some experts cite Korea's relative openness as one reason the Internet there is so much faster and cheaper than it is here. The most important thing is that countries create a way for companies to enter the broadband market without having to pay for huge amounts of infrastructure, said Faris. South Korea, with more than 1,200 people per square mile, is a lot denser than the United States, where 88 people live in the same amount of space, and where rural areas and suburbs are large. The result for broadband? It costs less to set up Internet infrastructure in a tightly populated place filled with high-rise-apartments, such as South Korea, than it does in the United States, where rural homes can be great distances apart. In both countries, copper wires tend to carry broadband signals from fiber optic cables and into the home. Data can travel fast on copper wire, but it slows down the farther it goes. In South Korea, that's usually just from the base of an apartment building to a particular unit. In the U.S., copper wire may have to link a home with a fiber optic cable that's a mile away. In the 1990s, South Korea set a priority that it would be a highly connected country with a high degree of Internet literacy. "They made this a priority 10 years ago and they've really executed on it," said Atkinson, from ITIF, the Internet policy think tank. The country is still four to five years ahead of the U.S. when it comes to broadband policy, even as the United States tries to catch up, said Taylor Reynolds, an economist at OECD. 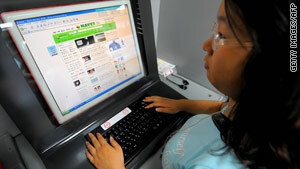 "Korea has long been a leader in broadband and in very fast broadband," he said. "And, in fact, the technology that Korea has used for probably the past four to five years is VDSL, and that's a technology that's now being put in by AT&T" in the United States. Meanwhile, Korea is abandoning that technology in favor of the next big thing, Reynolds said. That likely involves bringing super-fast fiber optic cables straight into homes. And, according to a recent report by the Berkman Center, that could make South Korean Internet 10 times faster than it is now. Faris said Korea's clear-cut plan helped lead to its faster broadband speeds. "The U.S. has taken a fairly hands-off approach to the sector. They've left it to the private sector. There's been some money put into it, but not that much, on a per capita basis. We just haven't taken it that seriously."